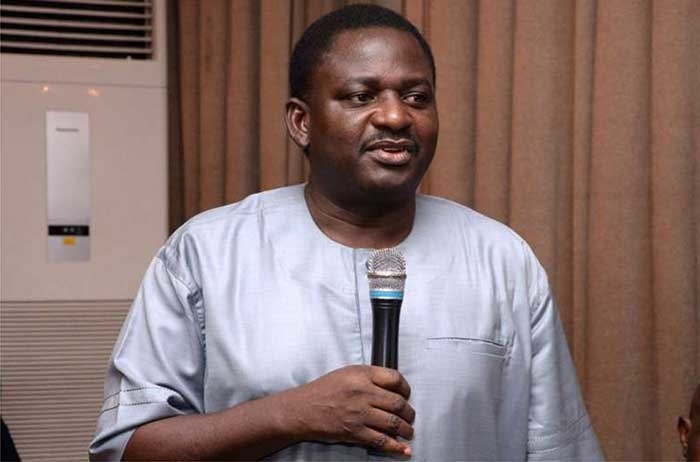 A spokesman for President Muhammadu Buhari, Mr Femi Adesina, says Nigeria's fall from 136 to 148 on Corruption Perception Index was not a vote of no confidence in the government, but a lower mark for Nigerians. The current administration of President Muhammadu Buhari won the hearts of Nigerians in campaigns preceding the 2015 election, when they promised to kill corruption. While this fight is ongoing, Nigeria fell from 136 to 148 on Corruption Perception Index for 2017, casting what appears like an aspersion on the entire war on corruption. But the spokesman for President Buhari, Mr Femi Adesina, has an explanation for this drop in ranking and how Transparency International sees corruption in Nigeria. Mr Adesina, who appeared on Channels Television on Monday, said “the ranking is not strictly about government, it is about Nigeria and her people. "Some people want to make it seem as if it is a vote of no confidence in government or it is a lower mark for the government. "I don’t agree, I think it is a lower mark for the people because the people constitute the country. "And if things do not seem to have worked as they should work, the people also have part of the blame". It was another opportunity for the spokesman for the President to express the position of the Presidency on the report which it had earlier rejected. The report was released in February 2018 and opposition parties have questions the impact of the war against corruption which has also exposed some persons in the ruling party who had engaged in corrupt activities. Reports on the investigation of most of them have not been released neither have they been tried. Case in point is that of the former Secretary to the Government of the Federation, Mr Babachir Lawal. "As much as I respect Transparency International, I don’t think we necessarily need them to authenticate what is going on in the country; because we, Nigerians, know that there is a war against corruption ongoing and that war is succeeding," he claimed.